Shallow, decorative pot, with (unattached) saucer. Perfect for bonsai or small plantings. 6" by 5" x 2 1/2". Assorted styles, colors, and sizes (not all shown). Let us choose color and save $1.00. 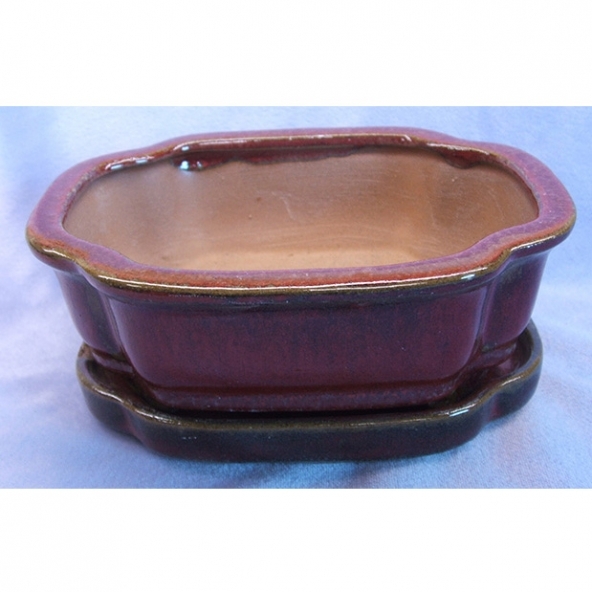 If you order with plants, ceramic items be shipped separately and will incur additional ($12) shipping costs!